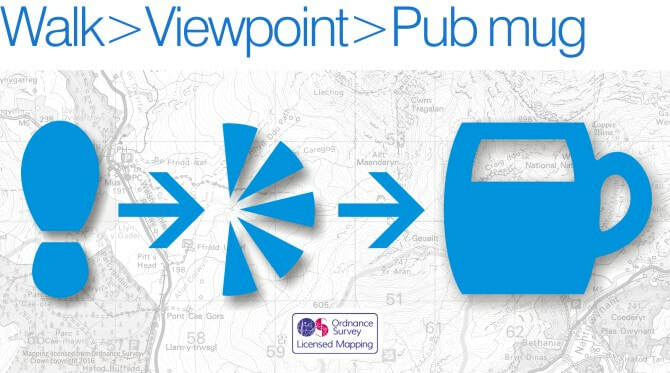 used on Ordnance Survey maps. 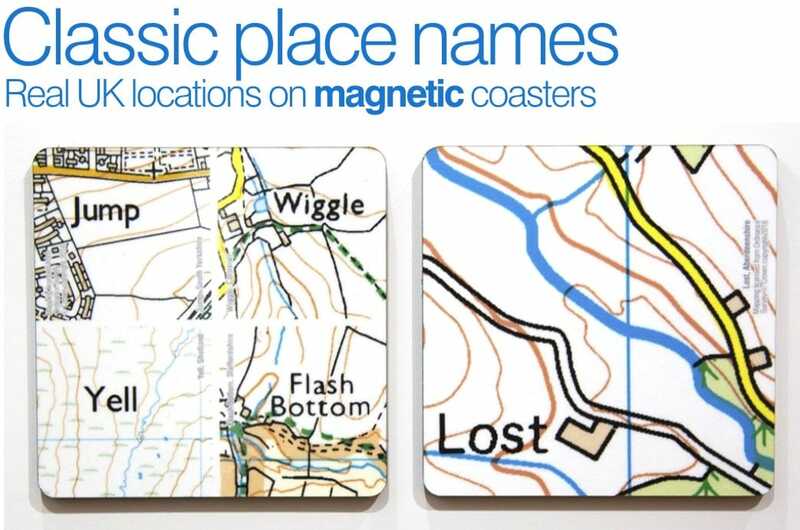 2 magnetic coasters (available separately) featuring Lost in Aberdeenshire, Jump in South Yorkshire, Yell in Shetland, Wiggle in Cornwall, and the wonderfully-named Flash Bottom in Staffordshire. 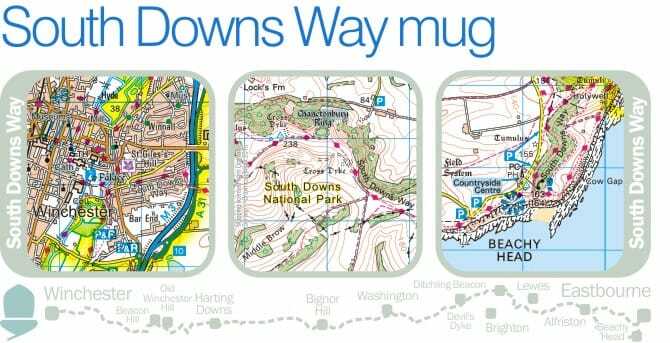 These high-quality melamine-faced coasters (10 cm square) are magnetised so you can store them on the fridge door! 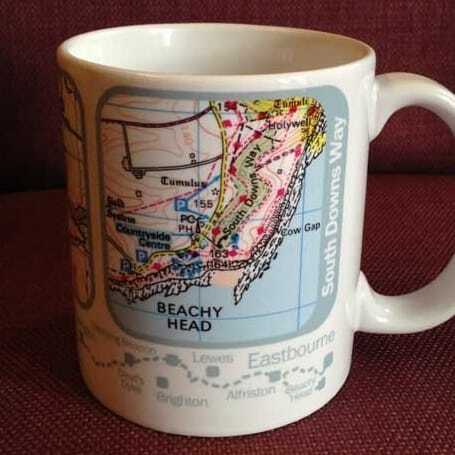 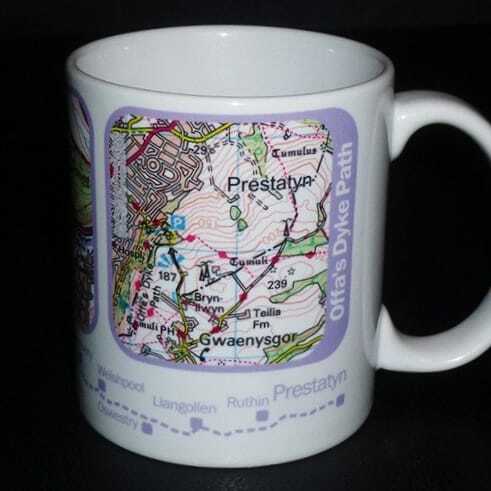 High-quality ceramic mug featuring Ordnance Survey map extracts of the National Trails route.